Elizabeth “Bette” Cokotis, 91, of Springfield, MA, and formerly a resident of East Longmeadow, MA for 32 years, fell asleep in the Lord on Sunday, November 25th at Baystate Medical Center, surrounded by family. Elizabeth was born to Greek Immigrants who came to America through Ellis Island and worked long hours in the woolen mills in Central Mass to achieve a better life for their family. Her parents are the late Panteleimon and Alexandra (Noutsis) Zacopoulos and she was born in Milford, MA and raised in Uxbridge, MA. She graduated from Uxbridge High School and Hill College of Business. She was retired from Mass Mutual Insurance Company and previously worked at Grants Dept. Store, Blake’s Clothing Store and Shawmut First Bank. 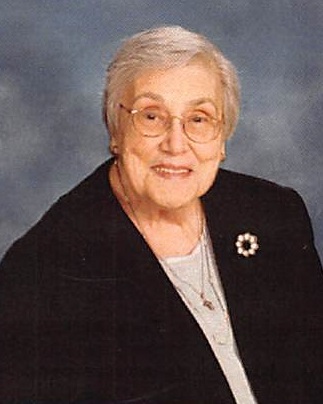 Bette served on the St. George Olympians Drum & Bugle Corps Committee and was also a member of the Greek Orthodox Ladies Philoptochos (Friends of the Poor) Society at St. George Greek Orthodox Cathedral and at St. Luke. She was an active communicant of The Greek Orthodox Church of St. Luke in East Longmeadow where she and her late husband were among an energetic group of parishioners who were incorporators of the newly expanded suburban parish in East Longmeadow in 1976. They were both 30 year members of the church choir, and volunteered for many fund raisers. In addition to her love of the Boston Red Sox and New England Patriots, Bette loved to share her baking and cooking skills with her grandchildren and volunteered in many workshops for the Taste of Greece. She participated in Bible Study and enjoyed the St. Luke Romeos and Juliets Senior Club. Elizabeth was predeceased by her beloved husband of 51 years, John Cokotis in 2007. She is survived by her 3 sons; William of Springfield, Peter and his wife Nancy of East Longmeadow, MA, Reverend Father Thomas, Pastor of Holy Trinity Greek Orthodox Church, Holyoke, MA and his wife Maria of East Longmeadow, and her five cherished grandchildren; Richard of Chicopee, Billy of Palmer, Jennifer Russell and her husband Derek of Springfield, Julie of Nevada, Christopher of Arizona and great granddaughters, Alexa and Peyton. She also leaves behind her beloved sister and brother in-law, Catherine “Tina” and Harry Jordanoglou of Webster, MA; and her sister in-law, Mildred McKinnon of Uxbridge. Bette was predeceased by her older infant sister, Elizabeth and her beloved brother Nicholas Zacopoulos of Uxbridge. In addition, Bette leaves behind many loving nieces and nephews, cousins and close friends. Elizabeth will lie in state at 10AM and funeral services will follow at 11AM on Thursday, November 29th at the Greek Orthodox Church of St. Luke in East Longmeadow followed by a burial at Hillcrest Park Cemetery, Springfield, MA. Wilbraham Funeral Home is in charge of the arrangements. The family would like to thank her Primary Care and Specialty Doctors, the dedicated nursing and patient care staff at Baystate Medical Center 7th Floor Mass Mutual Building and Daly Building 6A, as well as the physical therapists and CNTs at Wingate East Longmeadow. In lieu of flowers, memorial donations may be made in memory of Elizabeth to St. Luke Philoptochos/Food Outreach, 400 Prospect St., P.O.Box 381, East Longmeadow, MA 01028, Holy Trinity Philoptochos/Food Outreach, 410 Main Street, Holyoke, MA 01040, or a charity of one’s choice. For further information, please visit the Wilbraham Funeral Home website at www.wilbrahamfuneralhome.com.